Dr. Gill was great. I liked that it is a smaller office. The patients I saw leaving where happy. He listenedto me and gave me an action plan, I have been to 3 other doctors who could not do that for me. I will be working with him for sure in the future alongside my naturalpath. Thank you Dr. Gill see you in a few weeks to check in! Dr. Gill was great. I liked that it is a smaller office. The patients I saw leaving where happy. He listened to me and gave me an action plan, I havebeen to 3 other doctors who could not do that for me. I will be working with him for sure in the future alongside my naturalpath. Thank you Dr. Gill see you in a few weeks to check in! *PLEASE NOTE- DR. GILL DOES NOT ACCEPT MEDI-CAL AS A PRIMARY INSURANCE* * We require a 24-hour notice of any cancelled or rescheduled appointments. Failure to do so may result in a late-cancellation or no-show fee* Dr Gill completed his residency training in Internal Medicine at Yale University. Dr Gill then spent two years in the United Kingdom training in General Medicine after obtaining registration with the General Medical Council in London. After completing his training in the United Kingdom, Dr Gill practiced Internal Medicine at the Visalia Medical Clinic in Visalia, CA. 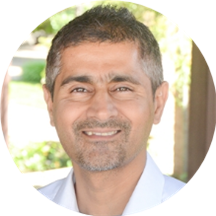 Since 2003, Dr Gill has been in private practice along with his wife, Dr Bisla. They have both been providing personal attention and the highest standard of care to their patients. Dr Gill also provides inpatient care to his patients at Sutter Roseville Medical Center. Dr Gill provides twenty four hour coverage to his patients during nonbusiness hours. Dr Gill has special interest in treating patients with diabetes, hypertension, hyperlipidemia along with other common primary care disease states. Dr Gill maintains a thriving practice thanks to word of mouth advertising and referrals from specialists for primary care services. Dr Gill is board certified with the American Board of Internal Medicine. Quiet efficient office (short wait time), the people there are kind. Listened to me and got me in and out quickly. Friendly yet to the point. Also very smart! Absolutely no bedside manner, but he was not outright insulting. Rudimentary, borderline negligent conversation with me, even though it was my first appointment and I indicated that I was nervous and had several issues I wanted to discuss.Concerns that I listed on the form that were not addressed, and the doctor simply walked away. The front desk person was very friendly and helpful, and the staff that took my vitals was decent. Decor/environment was depressing in the front lobby. It was okay, wasn't the most engaging Doctor, but he was okay. He’s a very sensible and caring doctor. He gets to the point and explains his reasonings. Very nice and calm doctor. Dismissive, and didn’t offer any feedback. Injured my eardrum and was let go without another appointment. I needed a referral for stroke, heart attack, orthopedic surgeon, oncologist and lab work. Amazing doctor. Actually listened to me and acted according. I had gone to an urgent care previously and felt rushed out the door. Thankfully I went to Dr Gill because he found an ear infection the urgent Care missed. Amazing! Very good and quick . Sends medications fast and easily . I left feeling like Dr. Gill genuinely cared about my long term well being. He really did not care about his job today. He might as well have not shown up at all. He had one foot out the door the whole appointment. I dont like goi g to the doctors. Who does really. They where prompt and courteous. I found my experience pleasurable. Very professional and informative. I highly recommend. The doctor and nurse today were fantastic! Very helpful, kind and understanding. The receptionist, however could use a lesson in bedside manners. Most of the reviews are computer made, this doctor is horrible. Like we can't tell they are fake reviews. You will loose your site if this is how you practice. Staff was great though, but you will see if you gothat this doctor could care less about the patient. He milks you for appointments you don't need, so he can collect the fees. My appointment that he mandated I come in for was exactly 3 min. Everything he said was needed he didn't do. Dr. Gill was very kind towards my 80 yr old Mom who has stage 4 bladder cancer. She was seeing Dr. Gill for another noncancerous related issue. It's always a positive sign when our aging parents grumble on the way tosee a new Dr. and then give nothing but praise to the Dr. all the way home! Thanks Dr. Gill! Professional and friendly. Staffers were courteous and helpful. I believe this doctor knows his stuff. Very bright and specific. Dr. Gill was very professional, helpful, and honest. I felt very comfortable working with him. Honestly had no interest in my health what so ever. No wait time but I felt I was rushed through. I had severe cough and congestion but they didn't even check my Temp. Listened to my breathing, prescribed antibiotics. In and out less than three minutes with Doc. Look for a doctor who can look at ear,head,nose issues this Doctors name shows. I fill out a form online asking what i was going to come in for. Instead if telling me he really doesnt specialize in this area theybook me an appointment anyway. Leave work early only to be sat in a room and told he cant help. Wrote a referral on a sticky note, asked him if they took my insurance and he says he doesnt know. Staff was nice, doctor was a waste of time. Dr. Gill was excellent in terms of his bedside manner, and in terms of his and his staff's courtesy and professionalism.